MAGNOLIA, Introduced by John C. Reilly. Burt Reynolds Tribute at the New Beverly (Los Angeles) in February, 2019. 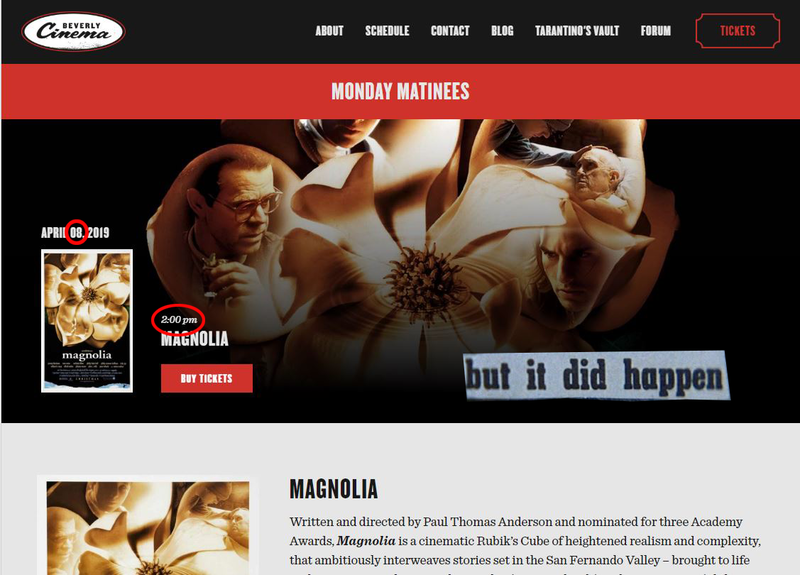 I don't know which is more interesting: That the New Beverly is running "Magnolia" on April EIGHT at TWO pm deliberately, or co-incidentally.